Για εκείνους που θέλουν να απολαύσουν τα αξιοθέατα και τους ήχους της πόλης Κουάλα Λουμπούρ, το SETIA Sky είναι η ιδανική επιλογή. Το ξενοδοχείο δεν απέχει πολύ από το κέντρο της πόλης: μόλις 2 km, και συνήθως χρειάζεται περίπου 50 λεπτά για να φτάσετε στο αεροδρόμιο. Με την βολική του τοποθεσία, το ξενοδοχείο προσφέρει εύκολη πρόσβαση στους προορισμούς της πόλης που πρέπει οπωσδήποτε να δείτε. Το SETIA Sky προσφέρει άψογη εξυπηρέτηση και όλες τις βασικές ανέσεις στους ενθουσιώδεις ταξιδιώτες. Οι πελάτες του ξενοδοχείου μπορούν να απολαύσουν υπέροχες δραστηριότητες όπως τα δωρεάν WiFi σε όλα τα δωμάτια, 24ωρη φύλαξη, παντοπωλείο, ημερήσιος καθαρισμός, ιδιωτικό τσεκ ιν/τσεκ άουτ. Απολαύστε ανέσεις υψηλών προδιαγραφών κατά τη διαμονή σας. Ορισμένα δωμάτια περιλαμβάνουν επίπεδη τηλεόραση, επιπλέον μπάνιο, επιπλέον τουαλέτα, προϊόντα καθαρισμού, κρεμάστρα ρούχων - ό,τι πρέπει για να αναζωογονηθείτε μετά από μια γεμάτη μέρα. Κατά τη διάρκεια της μέρας μπορείτε να απολαύσετε την χαλαρωτική ατμόσφαιρα των αίθουσα γιόγκα, υδρομασάζ, γυμναστήριο, σάουνα, εξωτερική πισίνα. Απολαύστε τις ασύγκριτες υπηρεσίες και μια πραγματικά περίβλεπτη διεύθυνση στο SETIA Sky. Κατά το check-in, η ιδιοκτησία απαιτεί εγγύηση ύψους 300MYR, η οποία επιστρέφεται. 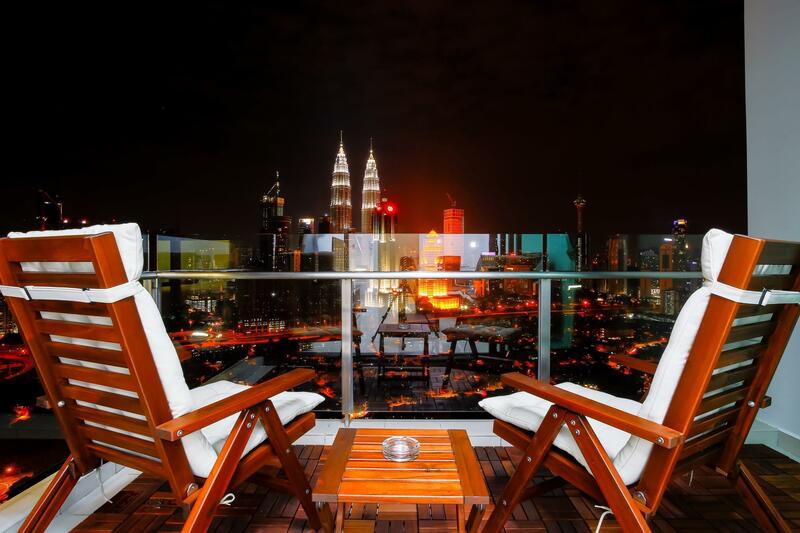 There will be a penalty of MYR 500 if guests do not comply with the policies mentioned above. Pros : very worth the money. Clean and very great view. Cons : i get lost at the parking area. The parking area that i get does'nt connect the with the building that i stayed. Overal, apart from the parking experience everyting was nice and great. Pros: The apartment has a nice view. Cleaning services were provided daily. Most of the security were very nice. Cons: The check in was awful. We arrived early and had to wait in lobby for 3 hours with a crying baby despite the promise that at least a room will be arranged. The person who checked us in was rude and never bothered to even apologise. He kept on talking about the payment. We were offered an apartment on the 10th floor. We would have loved a higher floor. The security was a pain as they checked each and every car coming into property and were painfully slow in doing it. We were in Tower C but the shopping mart was in Tower B where our access card didnt work. We had to wait for someone to come out in order to get into the building. Cleaning staff did not clean the toilets properly. Despite giving a late checkout a staff bothered us at regular checkout time. Overall, we were happy with the apartment itself. However, there is much need for improvement in customer service. Setia sky security guard is not helpful. I arrival 10pm. I was ask to call the no in the booking notice. I call landline no answer. I call handphone the number is not available. Waited 30min outside the gate and ask guard to look for person in charge. Keep saying coming n coming. after 30min only show up. Bring u to the lobby, pass u the key, collect 300myr deposit dont even sent u to the room. Expect u find all the way up. Check out time was delay 20min. Due staff not working and manager phone was off. Bad service. The place is comfortable & nice. Hard to reach from anyone even though they keep on telling to whatspp and call the numbers provided. Complained about missing tv remote control but nothing was done. The stay was really comfortable. No one pick up the phone. Please provide phone no that can be answer. Most of customer been waiting for more than 1 hour to reach customer service. So terrible. Really not recommended. Overall stay was a pleasant and cosy stay. But check in a bit slow lack of staff take quite some time to check in. Honest reliable review you might want to consider before booking their apartments. Agent sold off unit despite being faulty. Booked their apartmt on 20-23rd Dec with 4 elderly together with my partner. Yes. 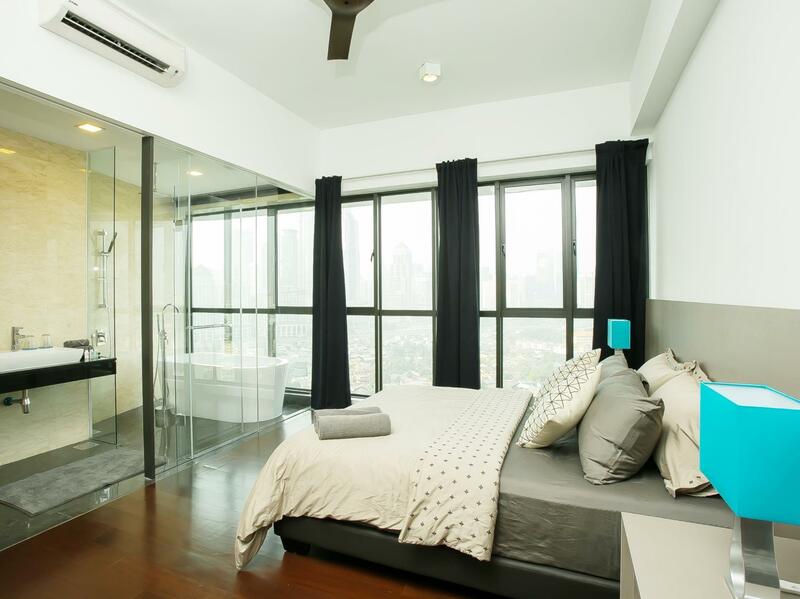 indeed their service apartments are spacious and clean upon my check-in and definitely nice view from the balcony. Very modern concept. Settled down about an hour plus only to realize main TV in living room wasnt working, Aircon and ceiling fan in both bedrooms not functioning. My elderly parents have to sleep in the living room due to this. Unsturdy dining chairs which might cause hazard. Spoilt spray gun in the shared bathroom. We consulted the agent only to have a waiting game of 30 mins, pushed to an hour plus and agent also the manager promised to get things settled by evening . Worst. pushed to next day only to know maintenance guy is on leave. Simply empty promises and couldnt resolve issue given sufficient time. Bad service. simply wasting our time waiting. 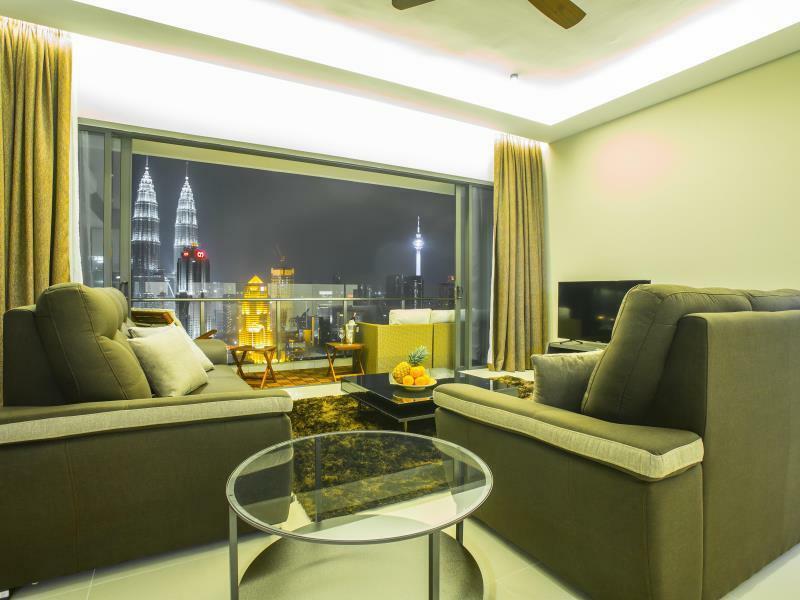 Dear Jayanthi, Greetings from KL Suites! We appreciate your feedback, hope to welcome you again. 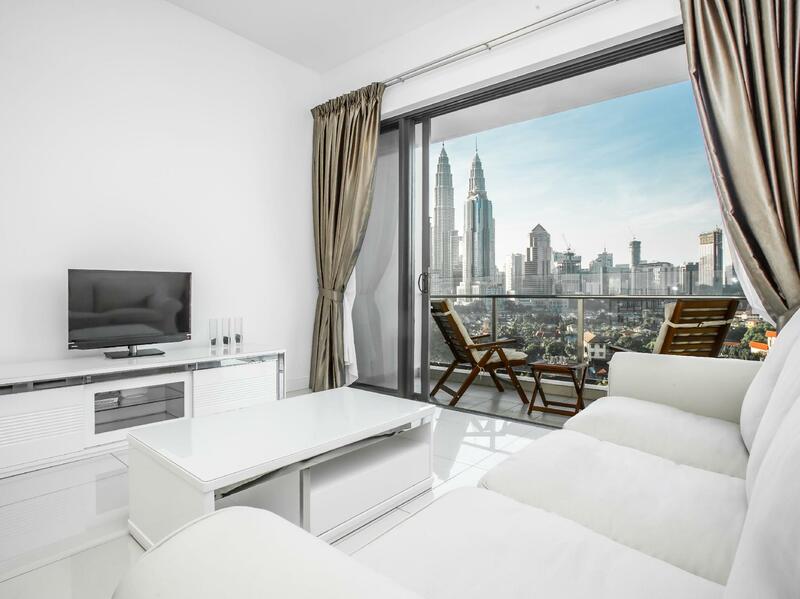 Easy access (by car) to KLCC and magnificent view from the premise. Clean with all basic necessary items in place. It's not a hotel, so may have some inconvenience getting in to the building first time with security there, but after you have your access card, its easy. Really love staying there except the problem with elevator. One big problem - may be its just the momentary problem but we got stuck in the elevator thrice (including once with the staff). The elevator door (on 22/f) wouldn't open so we had to go 33/f and change lift. Next night after party around 2am, we got stuck again as second lift won't accept the access card to go up. Staff are nice and right there when you need and they helped us go to our floor. The house really nice and comfortable. 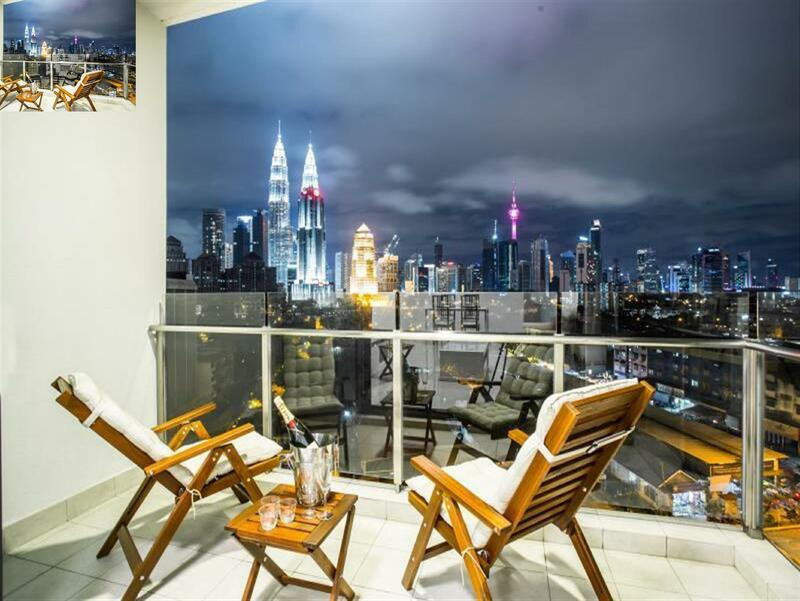 I got the house that facing to the KLCC. But the services really BAD. We have to wait so long to enter. Not only me, other residents also. The staff (guard) really rude to residents! What you pay is what you get! Excellent unit! Friendly staffs! EXCELLENT VIEW! What more can you ask for!? if you have extra money to spend on a quiet, intimate night or two with your partner or looking for a spacious accommodation for your family. This is the best place! This hotel - is just perfect. Crazy amazing view from 33 floor! WOW! You should see this. Bed is not big, but very comfy! A lot of space! I will remember this balcony and the view from it for a long time... Highly recommend! P.S. About 10 minutes before checkin please call hotel and give them know about your arrive time. In this case you will have no problems with quick check-in. only great view. but bathroom ceiling leaking and slippery. Lights outside the lift were not working, ended up the whole corridor was dark for two nights. cant see anything after the lift closed its door. luckily we have torch light on the cell phone. I have complained to the management at the time i checked in but for 2 nights, no repair was done. I couldn't complain to agoda in time as I was waiting management to do the fixing. nothing was repair until checked out. disappointing. Σιδηροδρομικός Σταθμός LRT - Kampung Baru στα 0.81 χλμ.